Arrival time is based on your scheduled class time. We ask that students arrive no more than 15 minutes prior to their scheduled class time. Upon arrival, students will sign in with our manifest staff and begin the check-in process. Check-in takes approximately 10 minutes. Following check-in, students will begin their pre-jump training class. Skydiving is an all-day process. Following your training class, students will be assigned a jumping order based on their arrival and class time. 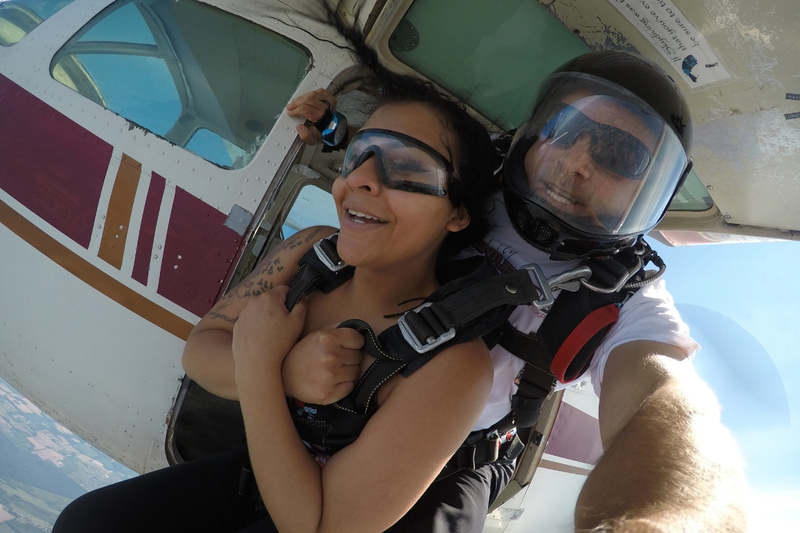 We strongly encourage all students to make a day out of their skydiving experience. Come out and spend your entire day at the dropzone with us. Between the completion of your training class and the time you actually jump, you can kick back and enjoy watching the skydiving activities. 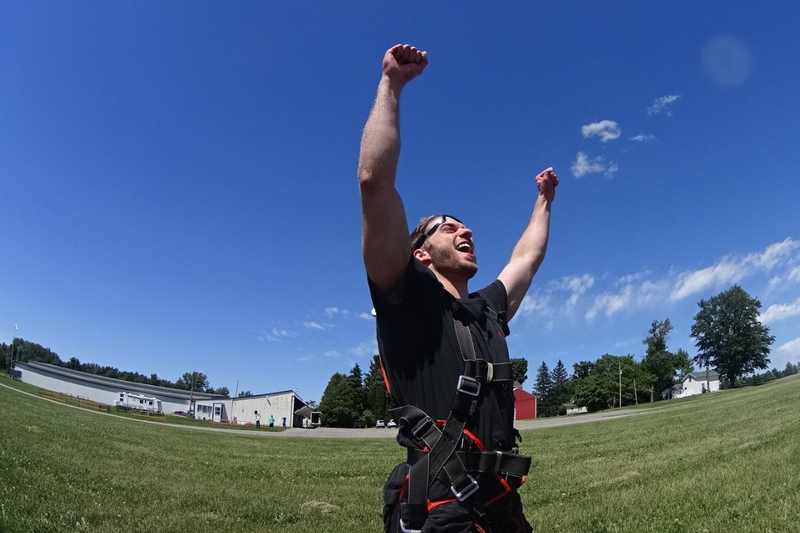 WNY Skydiving is a full-service skydiving center catering not only to tandem skydiving students. 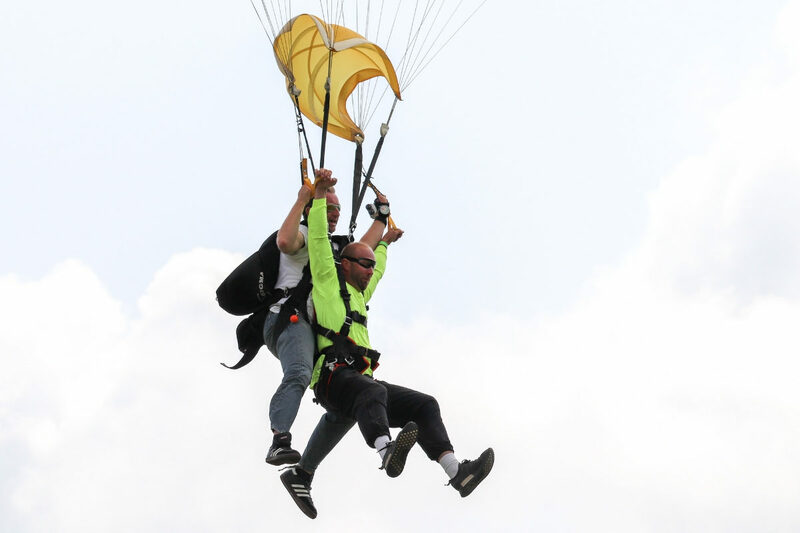 Licensed jumpers with their own equipment, as well as people learning how to skydive on their own will also be around to observe and chat with. Anyone jumping needs to bring government-issued photo identification such as a Passport or Driver’s License. You will need this in order to check in with the manifest. No one will be permitted to jump without a valid photo ID. Following your training class, there will be a waiting period before you actually jump. During this time, feel free to make use of our picnic area! There are picnic tables available (though seating can be limited), so students and spectators are welcome to bring their own camp or lounge chairs, coolers, and shade umbrellas. Bring your own snacks and beverages or have food delivered to the airport! Avanti Pizza – located in Albion, NY – will deliver directly to our airport! Please note that alcoholic beverages are NOT permitted for students or spectators. We also recommend students and spectators bring something for entertainment, especially if you’ll be bringing children. First and foremost you anyone jumping needs to be wearing sneakers. You will not be able to jump in sandals/open toed shoes, boots, or heels. Wear comfortable clothes for being outside on the day of your jump. In cooler weather, we will give you a jumpsuit to wear over your clothes. For this reason, we recommend clothing that layers easily such as cold weather base layers (Under Armor), long-sleeved shirts, and jackets without collars. In warmer weather, jeans or shorts work well for men. Yoga or track pants or capris work well for women. Due to the fitting on the harness, very short shorts may be uncomfortable. T-shirts are recommended for both men and women. Avoid collared shirts as they are uncomfortable in freefall. Still have questions? Read our blog post on What To Wear Skydiving. Spectators are more than welcome! If you’re bringing children to watch your jump, please be sure there is an adult designated to be responsible for any minors while you’re jumping. Service animals are of course always welcome. Please leave other furry friends at home. 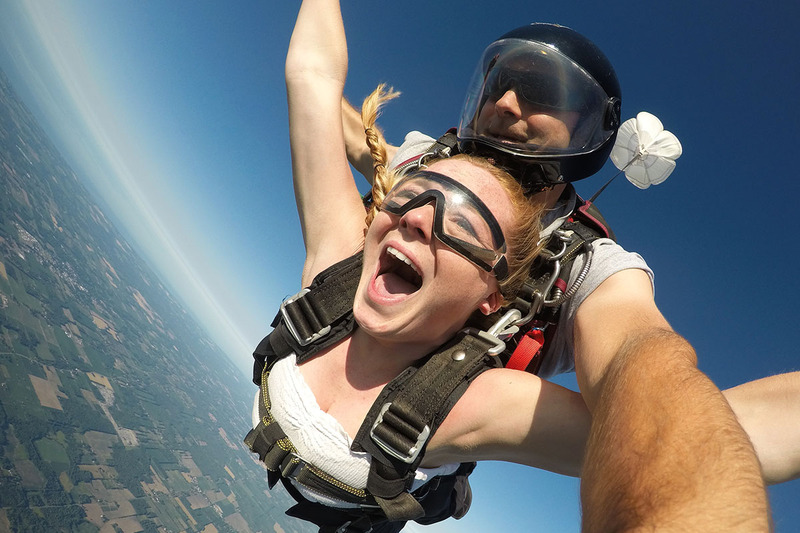 Skydiving is a weather-dependent sport and there are a variety of conditions we will look at to determine whether or not jumping is possible on a given date. We are not able to jump in high winds or through solid layers of clouds. If we determine that weather does not permit jumping on the date you are scheduled, you will have up to 1 year to reschedule your skydive. Please note that all jumps are nonrefundable. 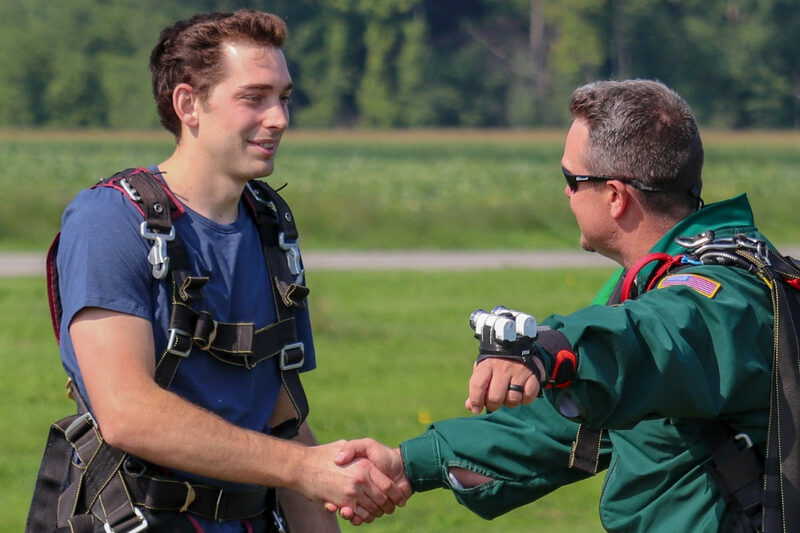 Learn about the Best Time of Day to Skydive or the Benefits of Skydiving in Fall too! Have Questions About Skydiving with Us?